‘Chopped Jr.’ program teaches cooking skills and teamwork. 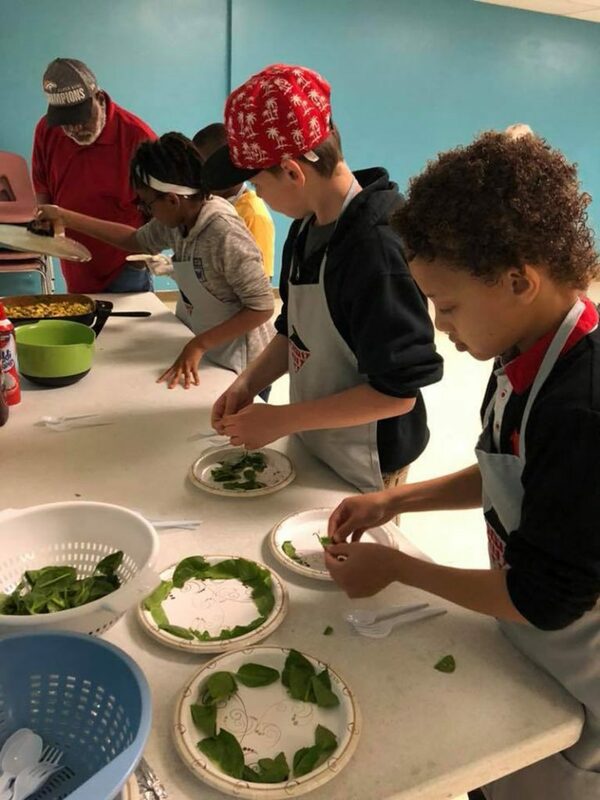 Young chefs are honing their skills at “Chopped Jr.,” a program offered at The Salvation Denver Army Red Shield Center in partnership with PYT, Inc. (Parents and Youth Together), another local nonprofit organization. 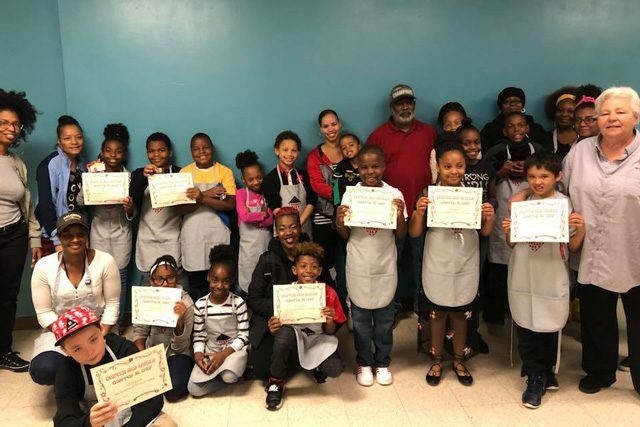 “We wanted to create a cooking program for kids that incorporated kitchen safety, nutrition, exercise and competition,” said Jessica Romito, Red Shield Program Director. 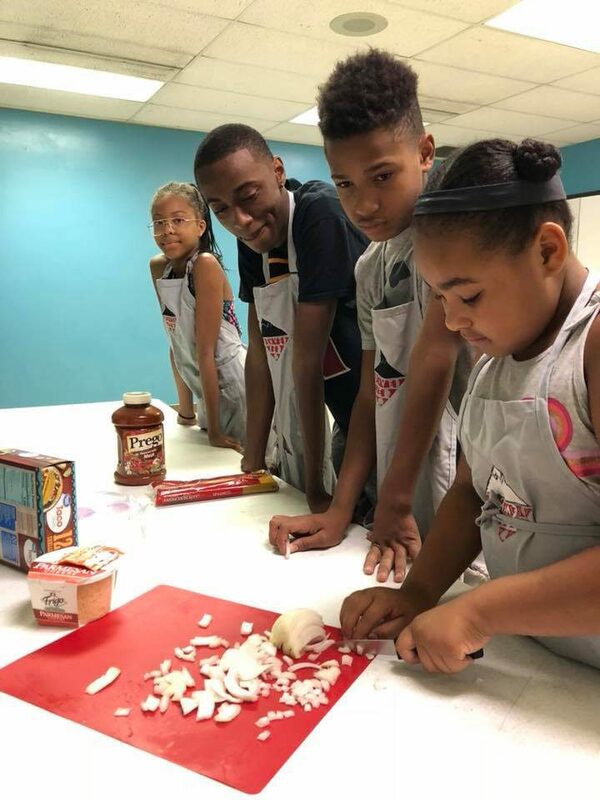 “PYT Inc. was running a smaller class in a home kitchen but wanted to expand.” In addition to cooking, the sessions include 15 minutes of physical activity, either in the gym or outside on the playground. The program runs for seven-week sessions with a class capacity of 20 junior chefs, ages 7–18, who meet once a week for two hours. So far, three sessions have taken place. Each week, instructors cover a different lesson, teaching the kids how to work safely with kitchen tools, how to properly wash food and equipment, how to measure ingredients correctly and how to read recipes. Working in groups of four or five, the junior chefs prepare a dish each week. The “Chopped Competition” happens in the seventh week, when four groups compete to make the most creative dish. Teams receive four or five key ingredients to incorporate into their dish, and they have access to the food pantry for other items. After the instructors choose team leaders, the groups decide on their dish and get to work. Along with a variety of salads, they have prepared oreo pies, breakfast sandwiches, spaghetti tacos, monkey bread and bacon meatloaf. A panel of judges includes donors, Red Shield staff and local restaurant owners. They focus on taste, presentation and answers to three questions that change for each competition. In the most recent competition, the judges asked the chefs to name three cooking techniques used in preparing their dish, three utensils or tools they used and three ingredients used. The judges offer positive, constructive feedback. “The team members all receive prizes and certificates for their dedication to the art of cooking,” Romito said. Parents appreciate the spoils of the Chopped Jr. program, which include more than just the food. Lts. Grant and Mandy Hall are Denver Red Shield Corps Officers.